Like every family up and down Britain, we like to dig out the old photos from time to time and swap stories. Today happens to be one of those days! So pull your chair around and we’ll share a few of our memories with you. L.G. Pathak was born in 1925 in an Indian state called Gujurat, where his family just about got by farming. When his father died the family moved to Kenya to search for a better life. 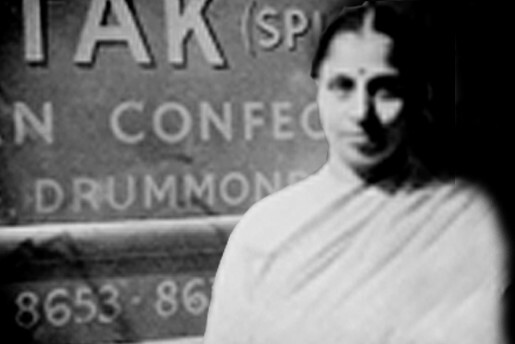 And they found one, opening a shop selling Indian sweets to other families who missed the taste of home. In 1956, L.G. upped sticks again and set sail with his family for Britain. They arrived here in the middle of a freezing November with just £5 to their name. But it wasn’t just the weather that was harsh. Work very was hard to come by for L.G. 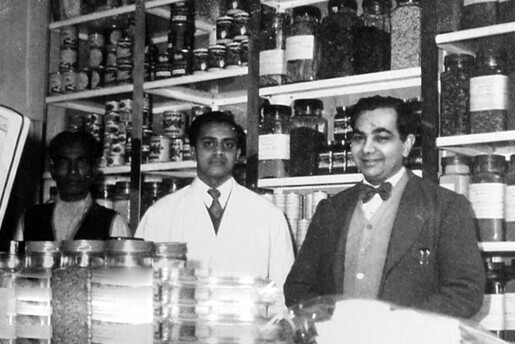 His wife Shanta wondered if the business they had in Kenya of making Indian sweets and snacks could work in Britain. 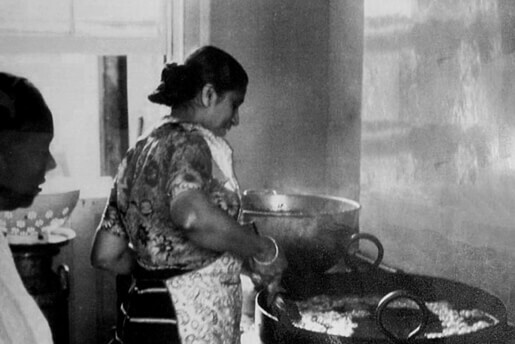 She set to work in their tiny family kitchen in Kentish Town and, soon enough, word spread. To the point where queues would form outside their front door! 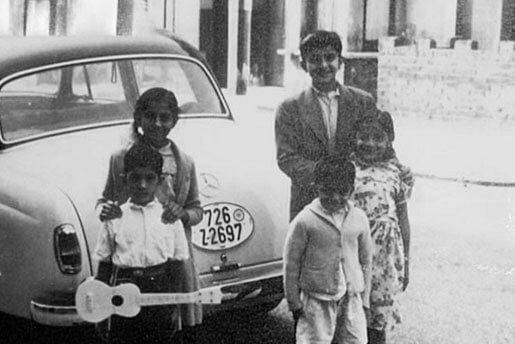 It wasn’t long before their 10-year-old son, Kirit, was making deliveries all over London. After a couple of years, they opened a small shop behind Euston Station selling all kind of Indian groceries. And it really took off, mostly because the Pathaks only sourced the best quality foodstuffs they could find. The real turning point for Mr and Mrs Patak though (we decided to drop the ‘h’ as it sometimes confused people) was when they once ordered too many vegetables and L.G. decided to pickle the extras. It was a bit of a eureka moment, really. 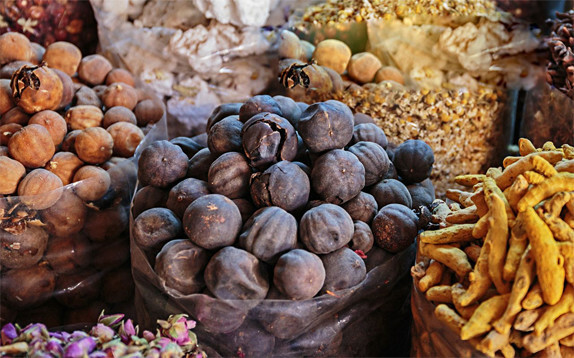 Because coupled with freshly ground spices he preserved in oil, they were able to create spice pastes that gave the authentic taste of India. 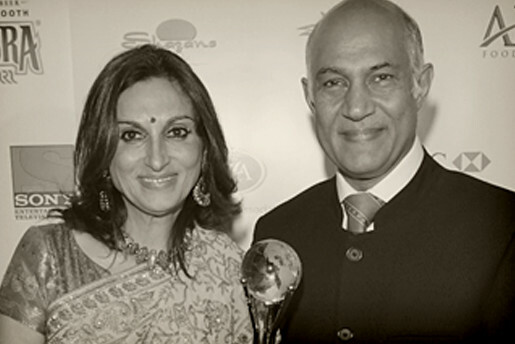 When Kirit grew up and took over from his dad, his wife, Meena, came up with the notion of producing sauces that would make making a curry simple for people with little time to cook from scratch. And the rest, as they say, is history. Our history. 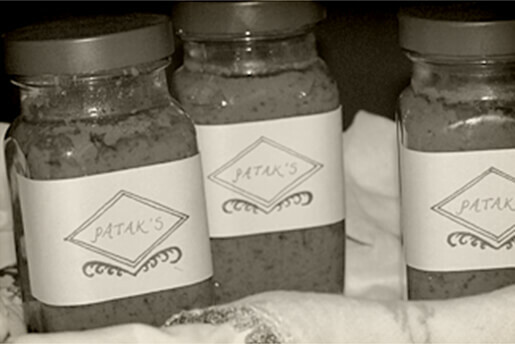 Today, Patak’s employs more than 700 people worldwide. 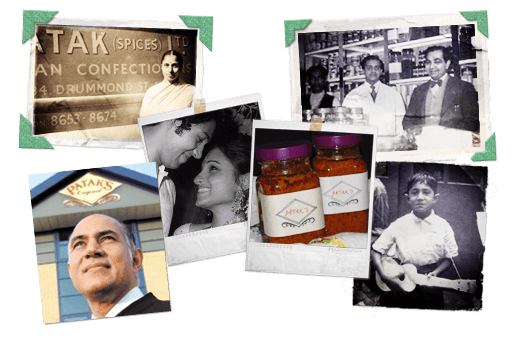 And we like to think that it’s the Patak family’s ideas, dedication and hard work that are the reasons why Britain loves curry.